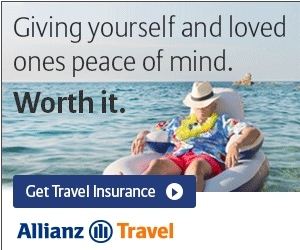 This is a nice deal. Check around for many dates that could work this fall / early winter for you so you are not looking for deals come DEC 1st! If you can route via ATL (Atlanta) at least one way your are talking over 5000 MQM’s and if ATL both ways over 5300 MQM’s. It works both ways from LAX or DFW and you can build some nice back to back days to pick up 10 or 15,000 MQM’s in a few days! Can I get off ATL on the return portion? @John – if you are all carry on who will stop you? 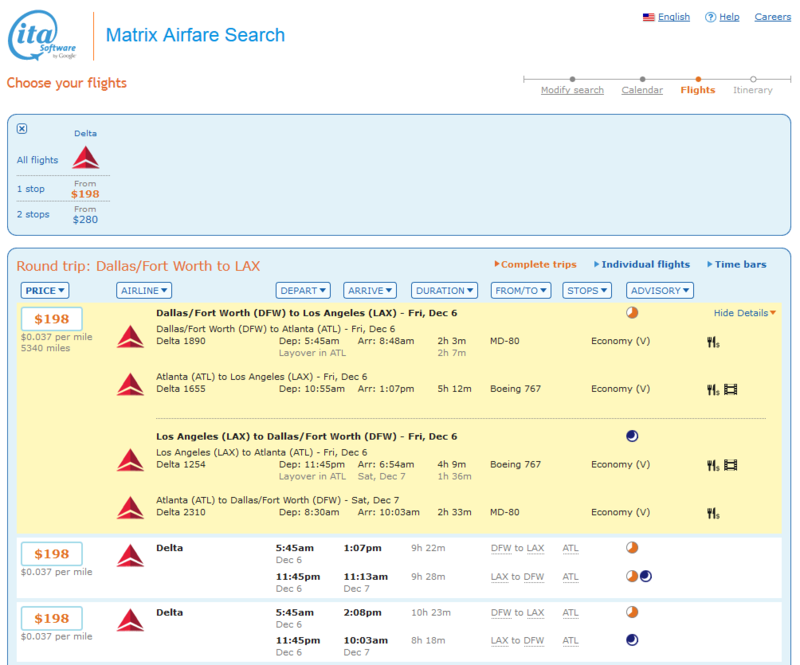 You will not get flight credit for the non-flown part of the trip clearly. Now, keep in mind, if there is weather or other issues you may get re-routed to final. 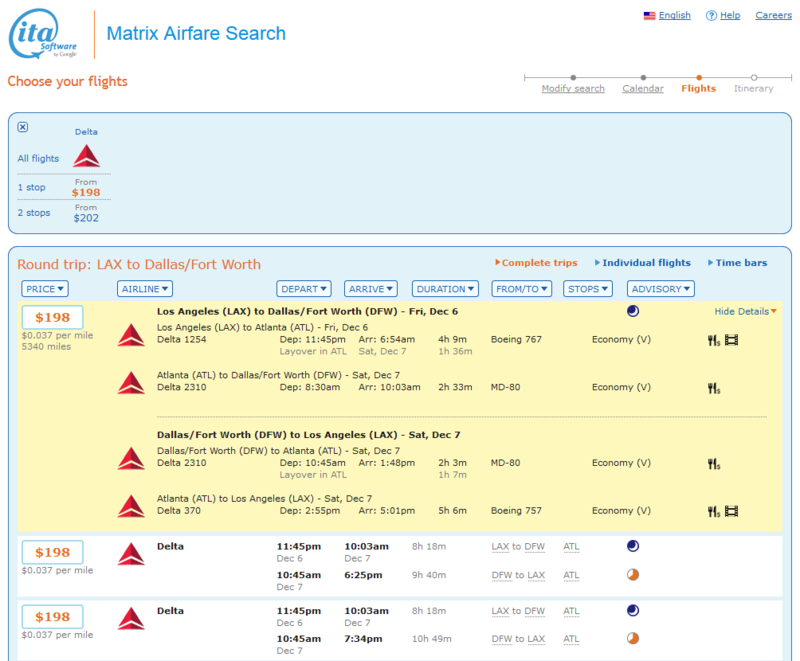 Plus, if you do this too much, Delta could do something drastic like cancel your Skymiles account. Doubt it would happen for just few of these but just say’in! Is it possible to have same day return? @Diana – looks like overnight flight but 24hr turn yes. Is economy (V) upgradeable in any way? no problem for medallion upgrades but many fare classes above you clearly! SO Excited!!! 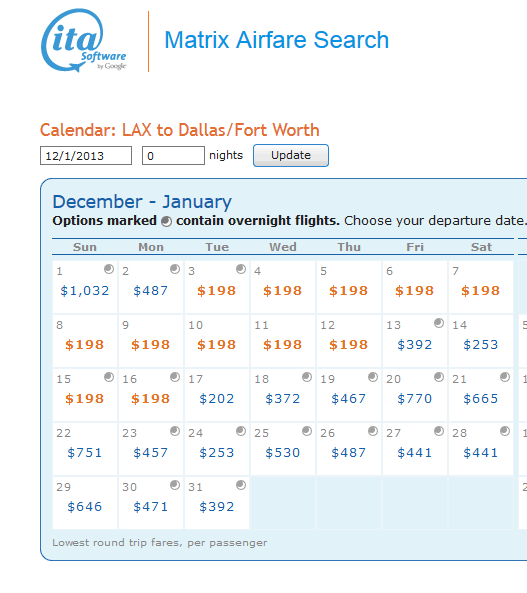 Just Booked the DFW-ATL-LAX for $199.60 on 12/5. Problem encountered as I confirmed the fare class of V was available on ITA but I could not get the DELTA web site to show the fare class and hence the fare. So I called the Medallion Cust service and got them to waive the $25 booking fee. Now I just need to stage to DFW. Thank you for the fare heads up.